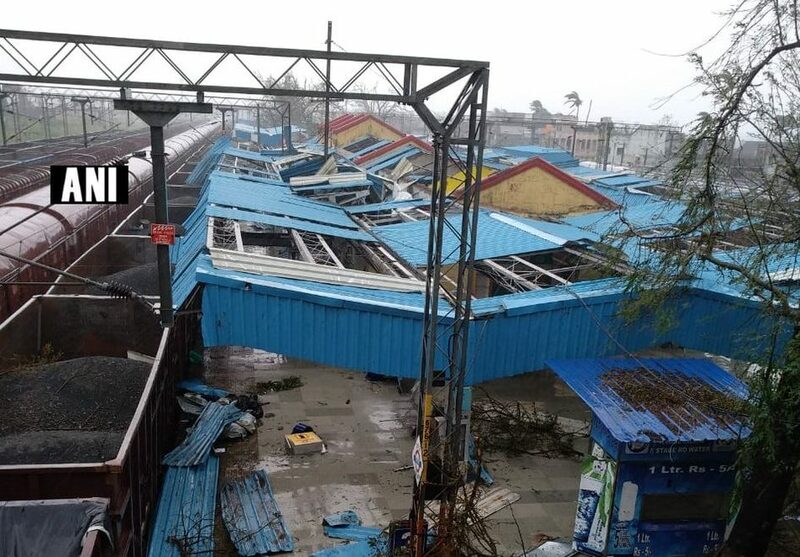 Hyderabadh: The State Disaster Management Authority (SDMA) said that the cyclonic storm, ‘Titli’ had weakned a little but left eight people dead, besides causing widespread damage in Srikakulam and Vizianagaram districts of north coastal Andhra Pradesh, Thursday. The ‘very severe’ cyclonic storm made its landfall near Palasa in Andhra Pradesh , late Wednesday night. Eight people were killed in different storm-related incidents. However, the cyclone did not claim any life in Odisha. Incidents of damage were reported from Ganjam and Gajapati districts after making landfall early on Thursday morning. In a bulletin, the Odisha government said that the cyclone has weakened slightly from its earlier status of ‘very severe’ storm and has now classified it as a ‘cyclonic storm’. It also forecast heavy to very heavy rainfall in several parts of the state.